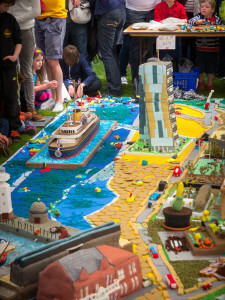 Cake Fest was launched in Gateshead in 2010. 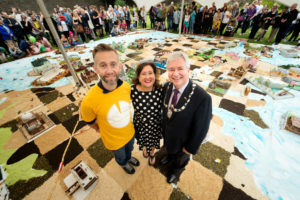 In November 2018 Perth and Kinross hosted the 13th event as part of the Winter Festival celebrations. 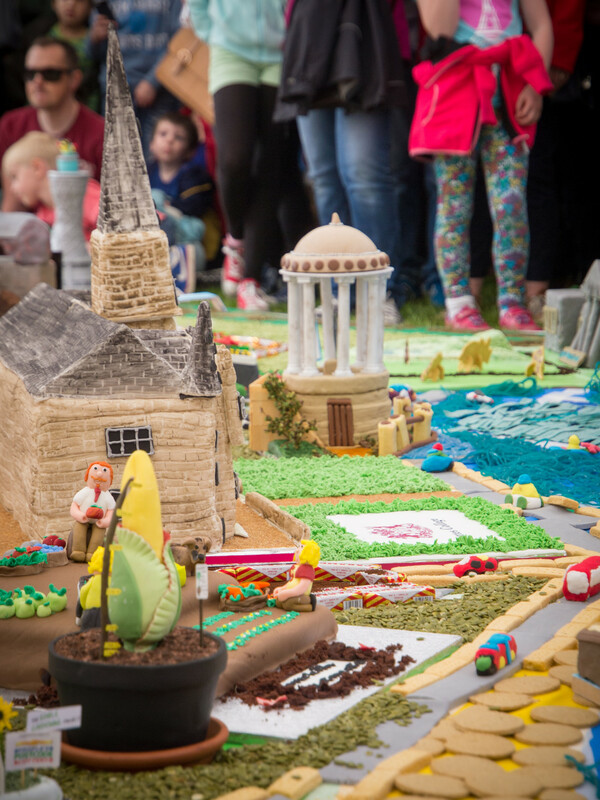 Cake Fest Scotland in 2016 was part of the Festival of Architecture – Teams of budding architects oversaw the creation of a spectacular 100 square metre, three-dimensional fully edible map of Scotland featuring 70 of our greatest buildings, modelled out of Scottish edible materials. This nationwide celebration of Scotland’s iconic buildings engaged with young and old, architects, bakers professional and nonprofessional with a diverse programme of activities, creating new resources to help individuals and communities shape Scotland in cake! 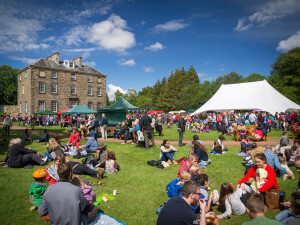 Cake Fest Edinburgh took place on 21 June 21 2015. It was attended by 16K people, setting a new single day attendance record for the Royal Botanic Garden Edinburgh. 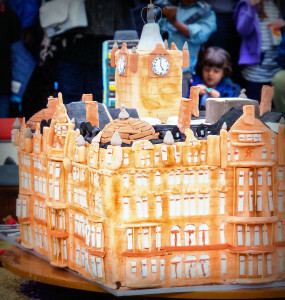 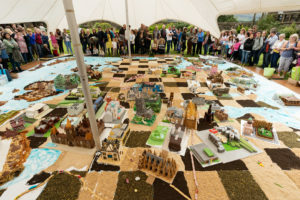 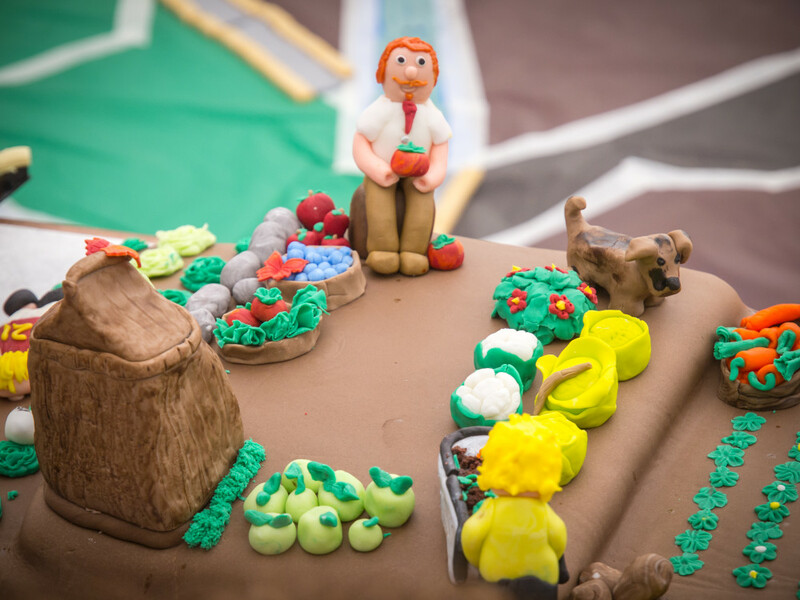 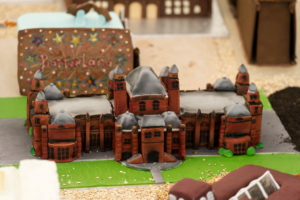 The event featured a giant edible map of Edinburgh created by over 50 teams of local bakers, food stalls, street food, live music and entertainment. 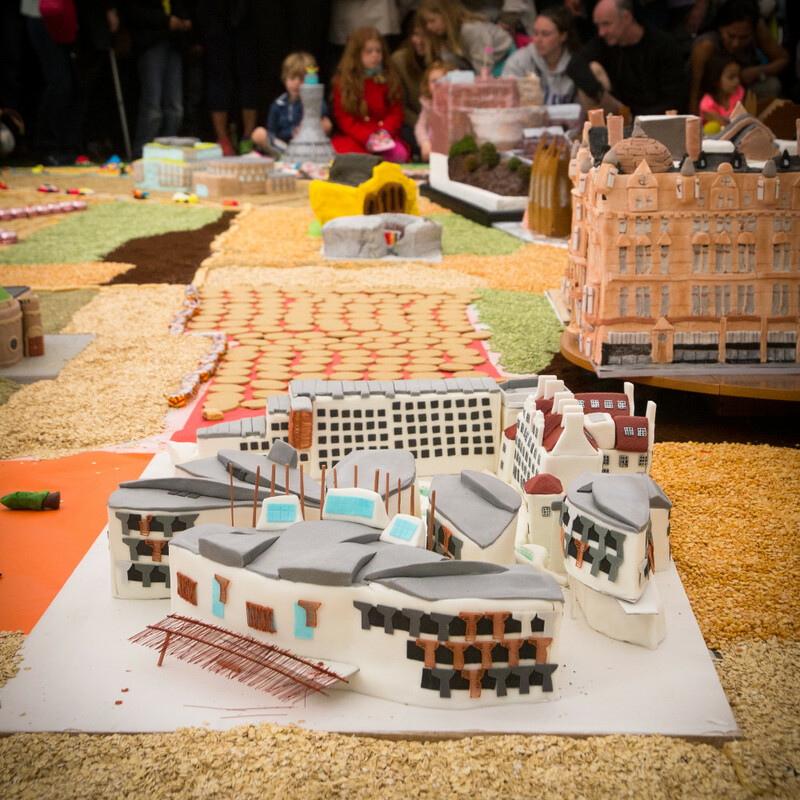 Event developed in collaboration with Jane Ali-Knight and James Allenby.